Historic Air Group Pilot's Forum • View topic - BOAC Around The World! Thought for a change I'd try the around the world option on my BOAC VC10. Left London yesterday afternoon, arrived in New York late. Now I'm headed to Los Angeles, then Honolulu and the South Pacific. 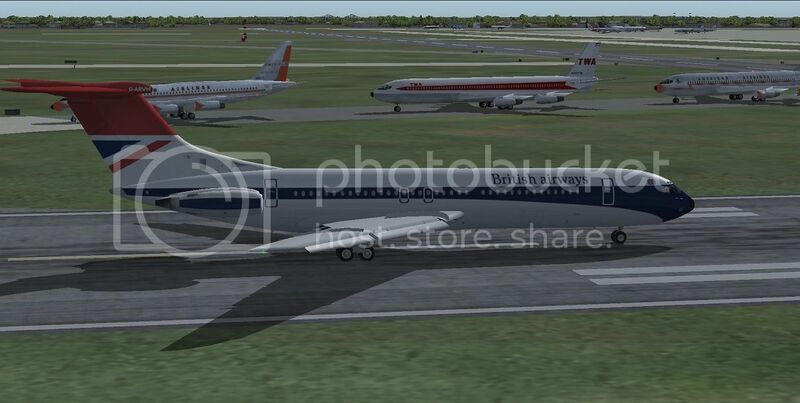 Here I am on 31R at JFK, a busy afternoon with an American CV990, TWA and American 707s awaiting their turn. They were right when they said the VC10 isn't very economical. I'm burning 12,500 pph, but I'm also cruising at M.82! She doesn't need much runway, but she ain't no climber. In the high twenties it slows to about 1000-1200 fpm. 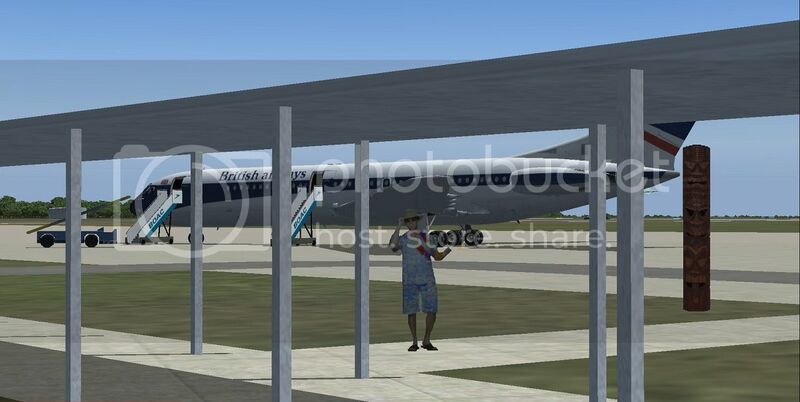 Re: BOAC Around The World!